A Security Operations Center (SOC) provides proactive threat monitoring, threat detection, and advice to stop threats quickly. But you may be surprised at what goes on behind the scenes to keep you safe. Hear first-hand how our SOC team works tirelessly to thwart attackers — from the analysts themselves. 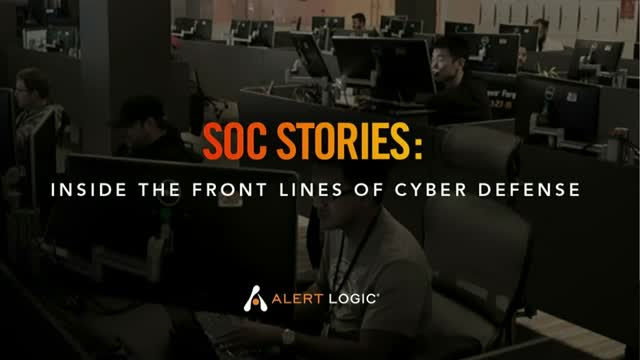 We’ll also discuss Alert Logic’s new cybersecurity report which shows how broad, continuous assaults of massive scale dominate today’s attacks. Our SOC gives you the edge over cyber adversaries. Join us and learn how.